More than 3,000 tickets have been slapped on motorists’ vehicles in Banbury in the past 22 months – compared to just 789 in Bicester. The patchiness of police’s parking enforcement in Oxfordshire can be revealed with only one issued in Kennington, Oxford, in nearly two years. Thames Valley Police is responsible for parking enforcement across the county, except in Oxford and West Oxfordshire. But its chief constable Francis Habgood has urged councils to take on responsibility and the force said it is working to reduce parking offences. Just under 40,000 parking tickets are handed out in Oxford in a standard year by the county council. In September, 2017, Cherwell District Council agreed to pay for extra officers to monitor parking. The £30,000 annual funding is likely to be one reason for the number of tickets in Banbury – but not the only one. It seems officers are more responsive to parking problems there than others across the rest of Oxfordshire. In August, for example, Banbury officers said they had handed out 25 tickets to vehicles illegally parked in Bretch Hill ‘following a series of complaints’. But according to figures returned by police in a freedom of information request, just 13 have been handed out in Faringdon from the start of 2017 until October, when the request was submitted. In other towns, a handful seem to be handed out every few weeks. In Wantage, just 75 have been handed out. In Wheatley, 62 were issued in nearly 22 months. 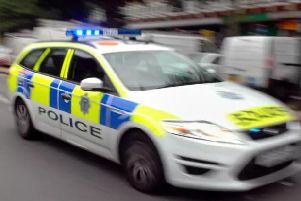 Police spokesman Kieren Bushnell said: “When breaches of parking restrictions occur, such as vehicles parked dangerously, parked on double yellow lines and causing an unnecessary obstruction, this will be investigated. Councils’ enthusiasm over decriminalising parking could be tempered after it emerged the only Oxfordshire district council in charge of its own enforcement lost more than £460,000 on it in 2017/18. Figures show West Oxfordshire District Council lost £467,387 in that period after it ran up £767,460 in costs. Those included charges for staff, contractors and ‘support services’. That wiped out any of the £300,073 it had made in tickets and other income over that year. The council said that involved on-street and off-street parking, mostly in car parks, and costs involved in on-street parking enforcement cost the authority £99,000. In Oxford, the county council made £1.2m over 2017/18 in parking charges, handing out 39,266 tickets in that year. That number has remained relatively stable over the last 10 years. Only in three of the last 10 years has the council issued more than 40,000 tickets. The county council was given special powers in February, 1997, to look after parking enforcement in Oxford. The council has contracted out enforcement work to NSL Services since 2008. Emily Smith, the leader of the Liberal Democrats on Vale of White Horse District Council, asked her authority to look at whether it could take on powers from police earlier this year. Councillors agreed and work is currently being done on potential costs to the authority. She said: “The fact is that enforcement is so patchy, it’s all over the place. In Botley and Sunningwell, it’s shocking. “We have got a real problem around our two primary schools. It’s been exasperated by the building works (at the West Way development). There’s been a noticeable increase of bad parking. “I have just done the school pick-up and I have had to avoid three cars on double yellow lines. It’s quite frightening because you’re aware drivers can’t always see a small child. If other district councils, including Vale of White Horse, agree to take on more powers, they will need to change existing arrangements including car parking orders and yellow lines. In another quirk of parking enforcement across the county, the county council has also been responsible for enforcement in Abingdon and Henley since 1997. Figures show that in Abingdon, the council made a loss of £6,042.94 in 2017/18. It brought in £43,534.76 and spent £49,577.70. Henley’s enforcement cost £11,125.88 more than it brought in. Motorists paid £82,788.95 in charges, but enforcement cost £93,914.83.